In Street Banners, Construction and Ink is Everything. 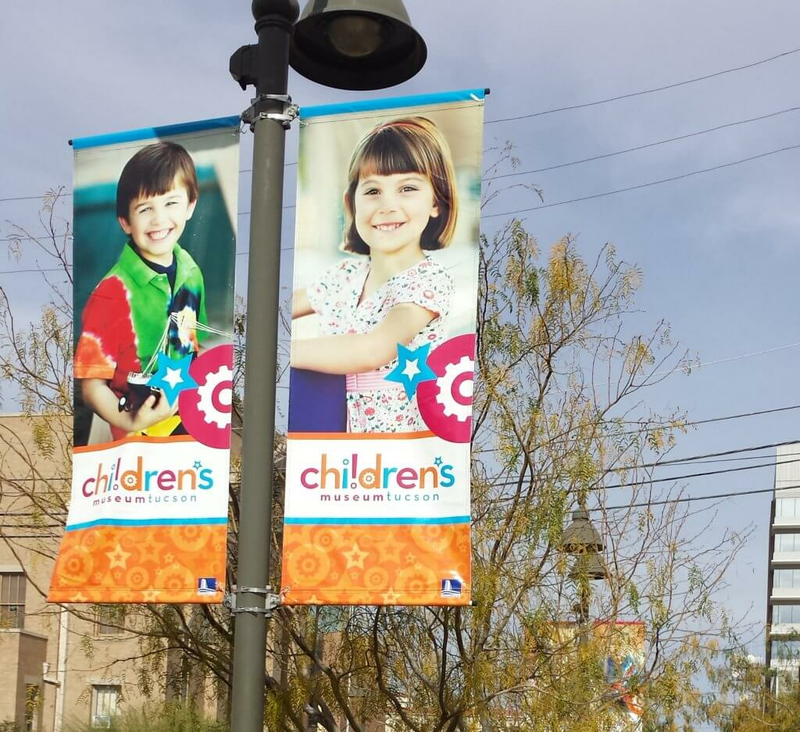 Keeping it simple is the key to designing street banners. Your audience must be able to recognize and easily read your message. Pay close attention to the hardware that is selected, the banner hemming process and special permits that may be required. Founded in 1989, Graphic Impact has had extensive experience in all of these areas. Small graphics and what we call a novel are made for brochures, not banners. depending on the intensity of UV light exposure. We expect up to five years durability in direct sun.